Asterix or The Adventures of Asterix (French: Astérix or Astérix le Gaulois, IPA: [aste?iks l? 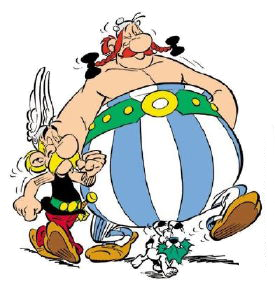 ?olwa]) is a series of French comic books written by René Goscinny and illustrated by Albert Uderzo (Uderzo also took over the job of writing the series after the death of Goscinny in 1977). The series first appeared in French in the magazine Pilote on 29 October 1959. As of 2009, 34 comic books in the series have been released.